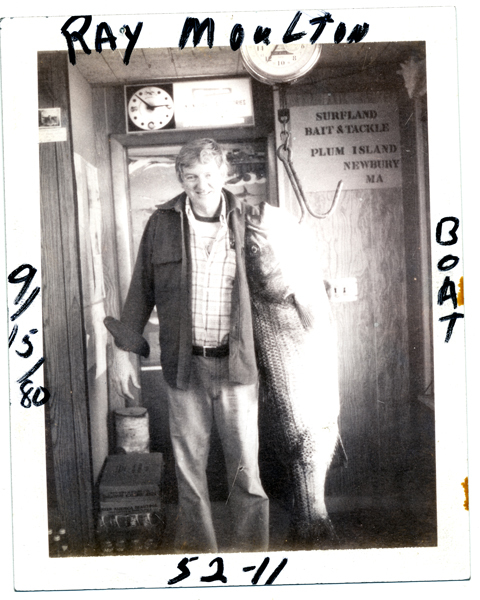 Those of us at Surfland are sad to report that Kay’s husband Ray, a renowned fisherman from Plum Island has passed away. We’ll let you know arrangements. So sorry to hear this guys, my heart is with you. We are so sorry and saddend by this news. Our thoughts and prayers to our entire Surfland family. Hugs to you Kay, Martha and Liz. I will miss his warm greetings and cheerful smile. I am sorry to here this. The Moulton family will be in my prayers. I’ve been going to Surfland for about 40 years. All my best to Kay and the family. Our deepest sympathy and condolences to your family. our hearts are with you. Just know that he’ll be fishing up there too. My late father-in law, Jim Wilkins, always spoke highly of Ray. I regret the passing of both of these men. Jim always spoke highly of Ray as a friend decades ago. Their memories lasts with every cast. This is indeed sad news. Condolences to the entire Moulton family and to all of those that knew and loved Ray. The end of an era… I was blessed to know Ray… I worked for him at Riverfront marine in the mid 80’s.. I even fished with him a few times….I’ve got a “honey hole” in PI sound that he showed me on a night when fish were scarce… many a night since, that spot has saved the night.. The Mckennas loved Ray and are thinking about all of you in Plum Island especially the whole Moulton Family. Even though we live 3 hours away, we know LOTS of Berkshire People that love and admire Ray and Surfland! Our deepest sympathy to you. Condolences, Thoughts and Prayers from my family to yours during this difficult time. Sorry to hear about this, my condolences. It is sad to see another PI legend pass away. Indeed the end of an era. My thoughts and prayers are with the Moulton family. May his memory be eternal. My sincere condolences to the Moulton family. Very sorry for your loss. Sending out my condolences to the Moulton Family and Friends during this tough time.